Designed for the harsh environment in which our customers operate, our tarpaulin systems are installed at our facility in New Jersey. Most installations performed by our trained professionals can be completed in a day. You come in with your truck and head out the same day with your new truck tarp system installed. All you need to do is make an appointment. We install truck tarps for a variety of sizes of trucks including tractor trailers, cargo trailers, flatbeds, and semi-trucks. 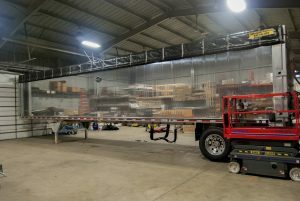 From heavy duty vinyl tarps to lightweight mesh tarps we install truck tarps of all shapes and sizes. Contact us today to get started. Whether you get a stock or a fully customized tarp, we can install it onto your truck and it will fit like a glove. Make your truck or trailer DOT compliant with a cover to secure your load and look good driving down the highway to your destination. Pick the truck tarp system you need to make it a breeze to cover and uncover your load. We use high-quality parts for all our system installs and our employees have years of experience to draw upon when fitting a tarp system to your vehicle. Choose from a variety of truck tarp fabrics and colors to customize your tarp to look exactly how you want it to. 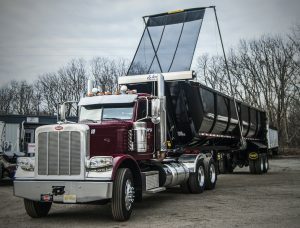 Please call to schedule your truck tarp installation and receive an estimate.